In today’s society, drinking alcohol is a cultural norm. We see it everywhere—at events, parties, in magazines, and on television screens. However, despite its pervasiveness, it is important to remember that alcohol is indeed a drug, and is in fact the most widely used addictive substance in America. The death rate associated with alcohol use actually exceeds that of the current opiate crisis. According to the National Council on Alcoholism and Drug Dependence, an estimated 17.6 million people currently meet the criteria for alcohol abuse or addiction. Unfortunately, less than 10 percent of these individuals will ever receive or seek treatment. Given that alcohol is commonplace in our society, how do you know when alcohol has become a problem? The American Psychiatric Association uses a distinct set of criteria to determine if an individual is suffering from alcohol abuse or dependence (generally referred to as Alcohol Use Disorder or AUD), which can then be classified as mild, moderate, or severe. When social drinking transforms into a loss of control around alcohol, compulsive drinking, and a negative emotional state while not under the influence, it may be time to consider an alcoholism treatment center. It’s important to recognize that alcohol addiction is in fact a chronic brain disease and is best treated under the supervision of medical and mental health professionals. At Nexus, treatment for alcohol addiction will be monitored by healthcare professionals and therapists who specialize in addiction medicine and recovery. We provide the tools and support necessary for our clients to achieve sobriety, as well as a safe and comfortable environment that allows each client to focus on their recovery. The treatment process for each client at Nexus will be customized to meet his or her individual needs. However, our goal is always to address the underlying reasons for alcohol abuse and teach clients new life and coping skills that allow them to reintegrate back into their families and communities. If you or a loved one are suffering from alcohol addiction, we’re here to help. Inpatient treatment: This form of treatment tends to be the most invasive because it requires a person to leave their home and live at a treatment facility for the duration of their recovery. Being in a residential program, clients can focus solely on their recovery. This tends to be the most effective form of treatment for addiction. Outpatient treatment: Outpatient treatment generally follows an inpatient program, but it can be offered as a standalone treatment option as well. Outpatient is a better option for those who are more secure in their recovery because there is more freedom. Clients can live at home, maintain jobs, and manage their daily responsibilities while attending treatment. This helps keeps people connected to the sober community and provides maintenance for sobriety. Medication-assisted treatment: Regardless of what type of program is selected, medications may be used in alcohol addiction treatment to help minimize withdrawal symptoms, deter cravings, and reduce risk of relapse. Medications may be used for short or long periods of time depending on individual needs. They are generally used in conjunction with a traditional form of therapy to ensure the best results. Alcohol detox is typically the first stage of treatment. The detox phase is a time dedicated to flushing alcohol out of the system and overcoming initial withdrawal symptoms. Depending on the severity of a person’s addiction, detox can take a few days to several weeks to complete. Once this is complete, a person can then move into the next phase of treatment. Alcohol withdrawal can be more challenging for some than others. Depending on how long the addiction has lasted, how frequent consumption is, and other individual factors, withdrawal can be a series of minor discomforts or a dangerous process. Because the withdrawal process can be so unpredictable, it is recommended that detox take place under the care of medical professionals. They are able to provide medications to ease the pain of withdrawal and react immediately should any life-threatening situations arise. Under the care of medical staff, clients’ heart rate and blood pressure can be monitored and withdrawal symptoms can be managed quickly. This ensures the detox process is as safe and comfortable as possible. Detox: Detox is often one of the most difficult aspects of treatment. Within a short window of time following quitting drinking, withdrawal symptoms can begin to appear. These can range from mild to severe. Because the withdrawal process can be extremely uncomfortable and, in some cases, dangerous, enlisting the help of medical professionals can ease the process. In some cases, it may be necessary to use medication-assisted treatment to successfully withdraw. Once a person is free from the mind and mood-altering influences of alcohol, they may transition into a recovery program to continue their journey. Rehab: There are a multitude of rehab programs that offer services for alcoholism. Depending on individual needs and circumstances, a person can choose an inpatient or outpatient program. Treatment specialists work with clients to strengthen sobriety through the development of life skills and coping mechanisms. Rehab often entails use of behavioral therapies to help a person change the behaviors that led them down this path. Rehab can last anywhere from a few weeks to over a year depending on the treatment option selected. Counseling: Consistent maintenance is important to successful sobriety. Many in treatment for alcohol addiction will continue working on their sobriety with the support of a counselor or group. Support groups and counseling sessions help keep communication open and allow a person to continue working on any underlying issues that may trigger relapse. It is also a good way for people to connect with other sober individuals. Aftercare: Eventually, a person will begin returning to their normal routines, but it is important to gradually transition back into this to avoid feeling overwhelmed. 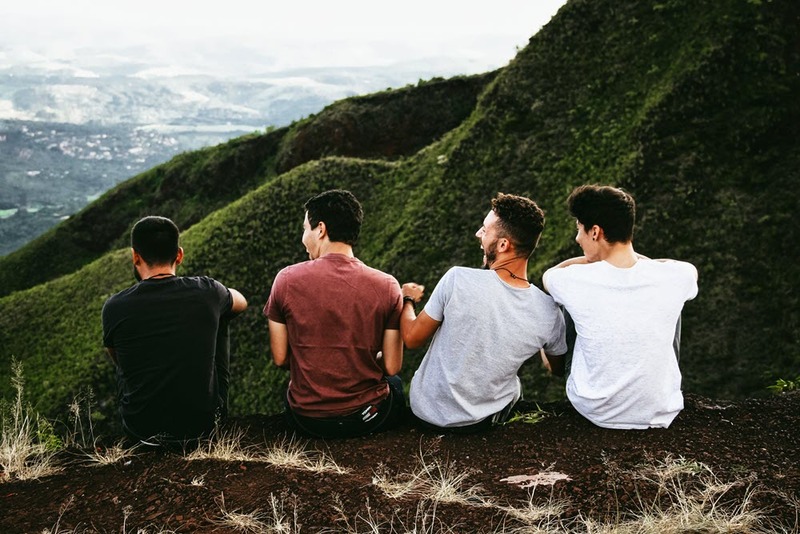 Attending support groups and staying engaged with the sober community in an aftercare program can help keep a person on track with their recovery. Inpatient treatment provides a person with a safe place to recover from alcohol addiction. Away from triggers, enablers, and other pitfalls, their daily lives are focused on their recovery. Inpatient programs, also called residential treatment, provide clients with housing, amenities, and counseling through a structured treatment plan. There are numerous advantages to recovering in an inpatient facility. Under the supervision of professionally-trained staff, a person is not far from resources to help them through times of crisis. Being in close proximity to a treatment team helps with the management of progress in recovery. Treatment can be observed and reevaluated in real time to ensure it is effective. Although there is a time limit for how long a person can stay in inpatient treatment, the around-the-clock care and in-depth treatment ensures the time in recovery is well spent. While it can be more expensive and requires a person to put a hold on other areas of life, inpatient treatment proves to be incredibly effective. Inpatient rehab provides a safe place for people to focus on their recovery and develop life skills to support sobriety after completing the program. Outpatient rehab is another popular form of addressing alcohol addiction. Through outpatient treatment, clients are able to take advantage of therapy and other forms of care while still managing their daily responsibilities. While there are some similarities to inpatient programs, outpatient rehab tends to be less intensive. Generally, outpatient rehab is offered to those who have already completed a treatment program, but it can be used as a primary form of care as well. Outpatient treatment allows clients to live at home, maintain their jobs, and manage other responsibilities. There are time commitments, meetings, and counseling sessions involved with outpatient care, but it evolves over time to meet the changing needs of clients. Typically, there is not a time limit on how long a person can engage with outpatient services. They can be utilized as long as a person needs them. Outpatient care can be effective, but it is not for everyone. The lack of structure and supervision can make it easy to fall into old habits. These programs tend to be better suited for someone who is more solid in their sobriety. For those looking to start their journey in recovery or for those who have a more intensive drinking problem, outpatient treatment may not provide adequate enough care. Finding the right counselor is vital to success. A counselor should be someone you are comfortable with and able to open up to. Having open and honest communication is imperative to success in recovery. They can help you overcome obstacles while also working with you to develop a new sober identity. Naltrexone: This medication works by preventing you from feeling the side effects of drinking. Consuming alcohol provides no rewards and Naltrexone can reduce cravings for it. This disassociation between drinking and pleasure encourages abstinence. Acamprosate: Acamprosate works by addressing the withdrawal symptoms a person faces early in recovery. It provides stability by reducing feelings of anxiety and easing the effects of insomnia, restlessness, and sadness. Disulfiram: This medication works by changing the way the body breaks down alcohol. If you consume alcohol while on this medication, it will make you sick. Nausea, vomiting, dizziness, and sweating are all symptoms a person may experience. These side effects cause a person to begin to associate alcohol with feeling bad, thereby, encouraging them to not drink. There are other medications that have been shown to have positive side effects in reducing alcohol consumption, but currently, the above three are the only ones approved for alcohol withdrawal treatment. Medications can be used anywhere between a couple of months to over a year following treatment for alcoholism. While these are effective at helping manage symptoms of alcohol addiction and discouraging continued use, a person cannot successfully stop drinking without changing the behaviors that enable it. It can be difficult to identify if someone you love is struggling with alcohol addiction. Alcohol consumption is normalized to the point where it can be hard to identify the signs of a developing problem. One of the easiest ways to tell when someone needs help is when their behaviors change in order to support their addiction. They may consume larger amounts of alcohol in order to feel intoxicated, neglect their responsibilities in favor of drinking, or may continue to use it even when problems arise as a result. Sometimes a person may want to change these behaviors, but feel unable to do so. If you suspect a loved one needs help, its often best to start with an intervention. 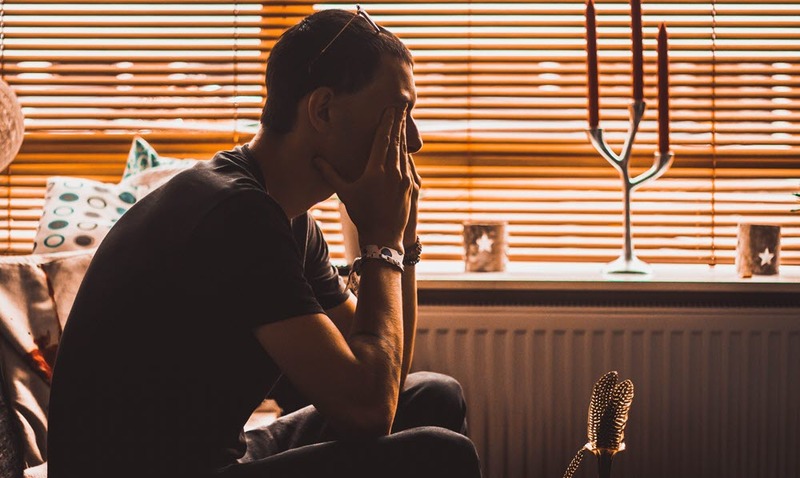 An intervention highlights the problems alcohol is causing for the person, but also presents them with a way to regain control with the support of their friends and family. While it is possible an intervention will not be well-received, it is a critical first step in seeking help. Once an intervention has been held and treatment has been accepted, transitioning immediately into a detox program is critical. Sometimes, a person may see going into recovery as a farewell and try to binge one last time before entering treatment. This can create further complications. Instead, have transportation arranged and ready to start the process immediately. After detox, a person can then transfer into the recovery program that best suits their needs. With countless treatment options available, there is no shortage of viable rehab programs. Rehab can range in duration, costs, and types of services available. Some may be more effective than others depending on a person’s individual needs. It is important to find a program that offers the right type of care for your loved one. Finally, when treatment is complete, aftercare services, support groups, and outpatient care can help your loved one maintain their sobriety long-term. It is not enough to simply stop abusing alcohol. Sobriety is a life-long commitment and staying connected to the sober community can help support that.